This is the first of a 3 Part Blog Series in which we provide insight on Performance within S/4HC. Performance in the World of Cloud. One of the major transition pieces for customers moving to S/4HC Public Cloud, especially if moving from SAP On-Premise, is the fact that performance monitoring in cloud does not give Performance guru’s the same level of access to backend transactions to see what happens ‘under the hood’ as in S/4HC, as our Cloud Operations team are doing the job for you. S/4HC has a number of health alerts and threshholds via Wily alerts to constantly monitor work process and performance so this Blog series intends to give some recommendations and pointers as to how you might optimize end-user experience. Some of the major differences are also felt because you are running applications, even though optimized on S/4H for cloud, over Public Internet. So if huge data flows are consumed, this might not result in sub-second response time. In the 2nd part of the Blog series, we discuss caching, page groupings and search, plus issues experienced during first logon that may be reported by end-users and in the 3rd part of the blog series, we take a look at some of the tracing tools commonly used. The SAP Fiori Launchpad should work with default settings work in the most cases. Only in case of performance issues, please check and when necessary change the settings. Regardless of your preference or choice of browser , it is important to always use the latest browser version! 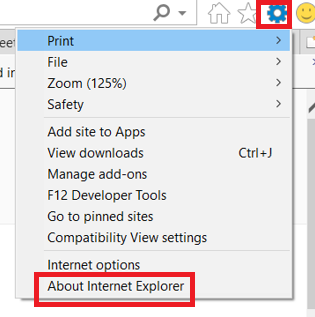 Tip: For IE > check the Latest Version by clicking the tools (cog) icon and ‘About Internet Explorer’ – the pop-up will prompt you if your browser version can be updated. For Firefox the navigation steps are very similar > Help > About Firefox and again you will be prompted if your version requires update. As tempting as it is to go incognito (Chrome) or use Private Browser or Private Window mode (IE and Firefox) – our recommendation is don’t! Many of the performance issues that our teams see (and not limited to Fiori Launchpad but with other environments also) are as a result of the use of incognito mode and private browsing. 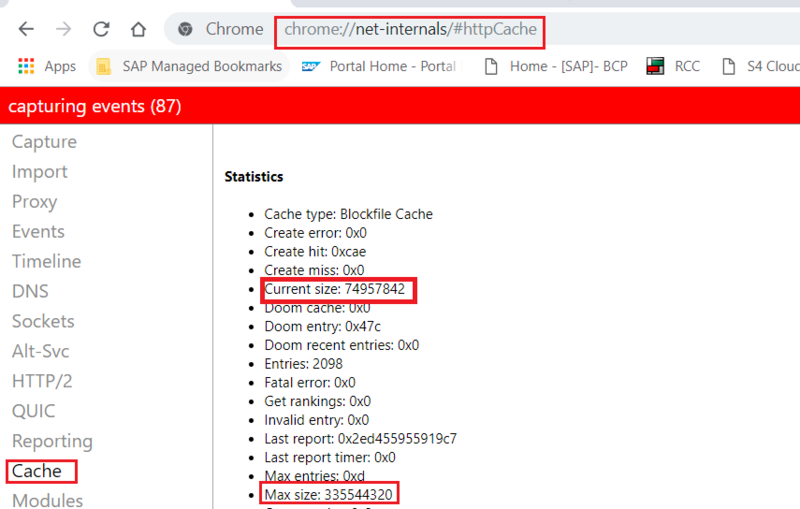 Why: When running Fiori Launchpad in a private mode, Fiori Launchpad is not taking advantage of the browser static cache and as a result, performance may suffer. Caching in S/4HC and Checking the Cache Size. S/4HC has built in caching capabilities so regular cache clearing is not necessary and can also lead to issues with increased load time as apps then need to re-load, this is an issue sometimes seen with Chrome, so you can check that you have Chrome correctly set as follows.